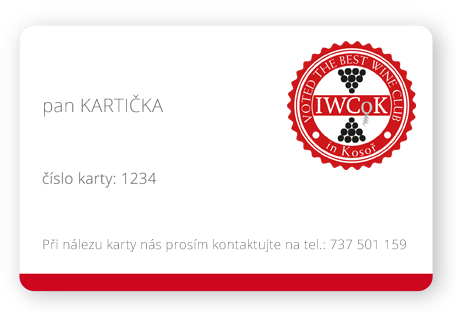 Having an IWCoK membership card gives you acces to a number of discounts and free tasting offers that only members of our club enjoy. Together with our suppliers, we want to offer something in addition to your monthly box. Be inspired and taste all the benefits. Specializes in importing wines from all wine regions of Portugal and the main philosophy is the precise selection of wines they offer. For deducting discounts use discount code IWCOK in your shopping cart. Openwine company has almost ten years of tradition and experience on the Czech market as the exclusive importer of premium wines from South America. Carefully selected wines based on the recommendations of leading Latin American winemakers and sommeliers are imported directly from Chile, Argentina and Uruguay. Portfolio constantly expanding and currently we also offer wines from Italy and Spain. The company FANDA GROUP is the importer and distributor of foreign wines from the world’s leading wineries. On an exclusive basis imports wines from the regions of Chile, California, South Africa, France and Germany. Contact us for you discount! We are a small Czech roaster, which is trying to bring everybody to the wonderful world of coffee. Something for coffee lovers to expand their knowledge and for those who do not drink coffee, try out new horizons. We choose green coffee (always 100% Arabica) then roast it ourselves.Our current blends are true ambassadors from the the coffee world. Offers IWCoK members a glass of Callia Malbec/Syrah with the meal for FREE. Since 2006 LANGUEDOC.CZ searches and selects a small family winery with a superior quality production from the Languedoc-Roussillon and other wine regions of France. Today, the company represents more than 20 winemakers of this vast wine region and 20 other wineries in other regions across France. The aim is to offer not only good wines for everyday drinking at an affordable price, but also unique wines for special occasions. 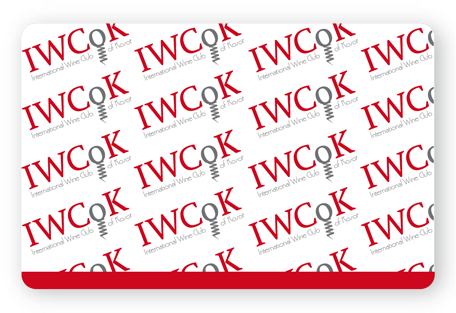 Contact IWCoK for ordering with discount. Víno Výhodně is specialized in premium wines from around the world for fantastic prices. Every Wednesday, we have a wine or several wines on offer of which we can guarantee the best price in Europe. Delivery not only in Prague for free and maximum within 24 hours. Please write us an email and we will send you the discount code, that needs to be applied in the Promo code box during the ordering proces. Restaurant and shop with Sardinian delicacies and wines. Serving only the freshest ingredients from Italy, they have a ever changing menu. The low key family style atmosphere we guarantee will enchant you and take you away to the seaside. Chez Greg Père & Fils is a pleasant family run wine shop offering a wide range of French and Spanish wines, cheeses and other delicacies that will excite your tastebuds. Discounts do not apply already discounted items. BISOS is a restaurant and tapas bar, serving amazing Mediterranean tapas and Sardinian goodies along with some great wines. Very pleasant.